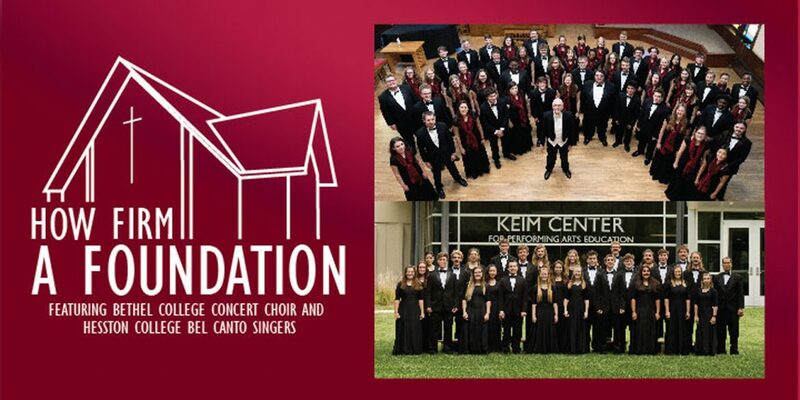 Hesston College and Bethel College will join together for a collaborative musical event at 7 p.m., Sunday, Feb. 17, at Tabor Mennonite Church (891 Chisholm Trail Rd, rural Newton). The concert is free and open to the public. Featuring the Hesston College Bel Canto Singers under the direction of Dr. Russell Adrian, and the Bethel College Concert Choir under the direction of Dr. William Eash, the program, entitled “How Firm a Foundation,” will feature the choirs individually and combined, and will also include hymn singing with the audience.